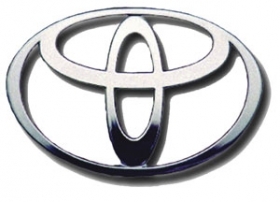 TOKYO -- Toyota Motor Corp., will invest an additional $689 million in a research and development venture in China as it aims to expand in the world's largest car market. The automaker will build test tracks to aid development of environmental technologies in China, it said in an e-mailed statement Friday. The research and development facilities will open in 2013. As governments worldwide roll out new fuel-economy standards, Toyota, maker of the Prius hybrid, is introducing its technology for fuel-efficient cars worldwide. The carmaker sees hybrid technology as key for the future success of the automotive industry, Katsuaki Watanabe, a Toyota adviser and former chief executive officer, said Oct. 11 in Chengdu, China. Toyota initially invested $234 million when the venture with China FAW Group Corp. and Guangzhou Automobile Group Co. was established in November 2010, according to the statement.